Our professional team at Delroy Park Dental Care wants to ensure a positive care experience for each patient. 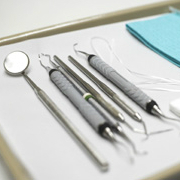 Building on a foundation of general dental care, we provide a range of essential services. 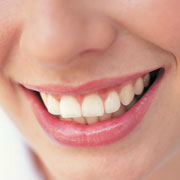 The foundation of a healthy smile starts with disease prevention, early detection and quick intervention. We utilise preventative methods and advanced diagnostic tools to identify potential dental problems before they are clinically visible. You can read about General Clinic Visits in our Patient Education Centre. A wide range of dental crowns and bridges are available to our patients according to their dental needs to preserve and replace missing teeth with long term success of serviceability. Each option is customised to look and feel as natural as possible. Endodontic treatment can preserve a badly damaged tooth that has experienced extensive decay and is the best and affordable alternative to the extraction of an infected tooth. We perform all root canal treatments right here in our Dubbo dental clinic. 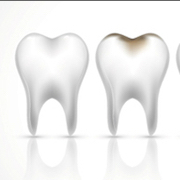 Tooth-coloured restorations blend seamlessly with your smile, and require less tooth preparation than metal fillings. Your teeth will be stronger and more aesthetically pleasing. Many dentists in the Dubbo may not offer dentures, but we do. 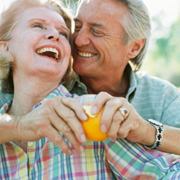 A properly designed denture will replace all of your missing teeth with a comfortable, affordable and secure prosthesis. Chronic wear, grinding or clenching can damage your healthy teeth and existing restorations. It can also lead to disorders of the TMJ. 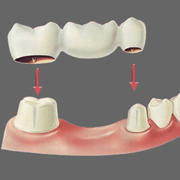 Our custom-fitted guards protect your smile during sleep, stress or athletic activities. Delroy Park Dental Care offers on call emergency dental care on weekends and public holidays. Whether you are a new or existing patient at our Dubbo practice, we want to ease your discomfort as quickly as possible. Contact us today to experience the highest quality dental care at our modern clinic.